How many tigers in Nepal? Could wild tiger conservation become a victim of its own success? The census result, synchronised with a count in India, was supposed to be announced on World Tiger Day on 29 July. But it was suddenly postponed, fuelling speculation the tiger count had decreased from the 2013 total of 198, with 120 of the tigers in Chitwan National Park. Some experts say the number could have gone down, because male tigers have been getting into fights over territory. Eleven tigers died in the past three years in Chitwan, five of them so far this year. “Animals have been known to limit their own numbers by social mechanisms to avoid depleting prey in their natural habitat. 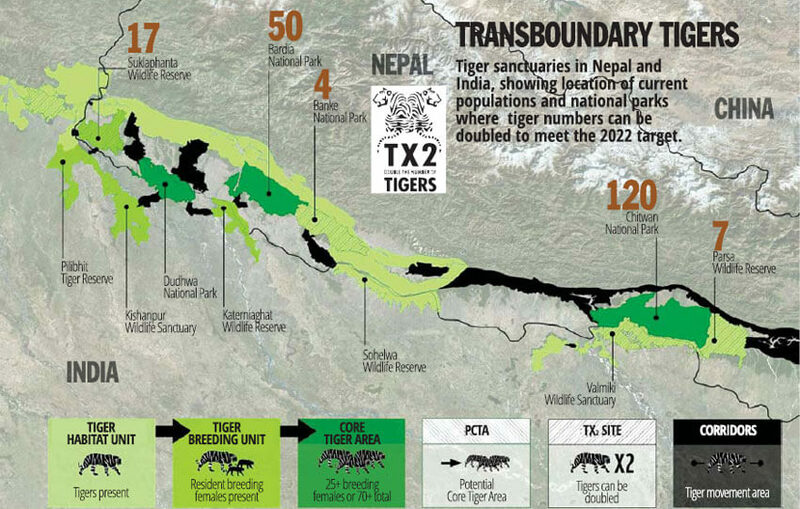 Tigers are territorial, and space is limited to match natural population growth, so this could be what is happening in Chitwan,” one international tiger expert told us. Khadka denied withholding the announcement because of the total was less than in 2013, saying enumerators were taking longer thanexpected to go through camera trap images. Every tiger has to be recognised by its stripe pattern, which are as individual as human fingerprints. 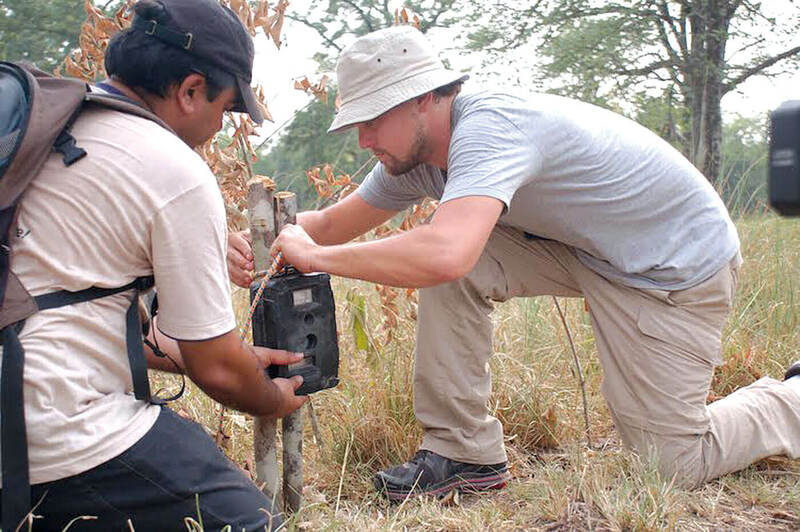 “We have no need to hide the figures, we just want to be accurate with the count, and there are other factors like reconciling individual tigers with camera trap images from India,” Khadka added. However, delaying the announcement has raised fears Nepal may not increase the tiger total by 50 tigers in the next four years. “Someone, somewhere seems to want to cook the data. If so, this will hurt Nepal’s credibility in the global conservation movement that has so far praised Nepal’s effort to protect the tiger,” said the expert. Even if the target is met, however, tiger numbers could exceed the carrying capacity of protected areas, especially Chitwan. Habitat destruction, human encroachment along wildlife corridors, new highways, transmission lines, irrigation canals and new railroads disturb the ecosystem of which the tiger is at the top of the food chain. If Chitwan has reached saturation, tiger numbers may need to be boosted in Bardia, which has 50 tigers, but has area to sustain double that number. National parks in Banke and Parsa can also accommodate more tigers if the prey base is increased. There have always been questions about whether Nepal should have committed to doubling tiger numbers, when protected space is so limited and prey numbers are shrinking. When tiger territories overlap, there is fierce competition between individuals as well as with other predators, like leopards, for prey. 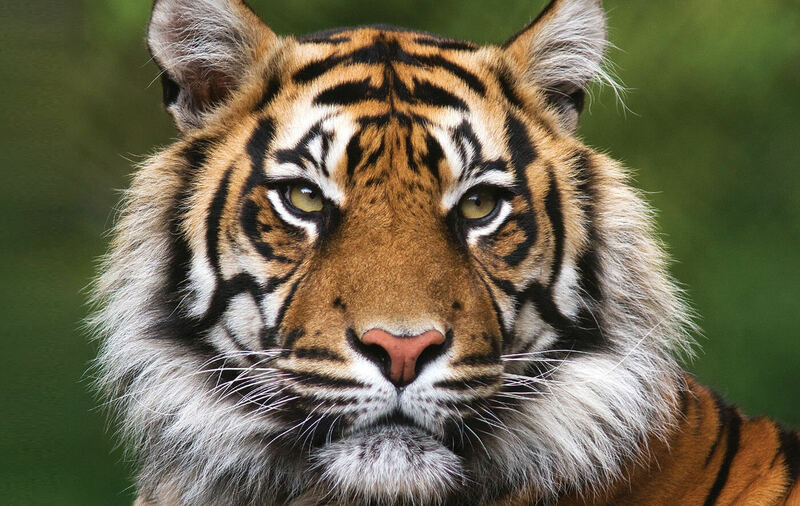 An average tiger needs to make at least one kill of a deer-sized animal a week – that makes 12,000 kills per year. Chitwan has a lower large prey density than Bardia, and conservationists doubt if it is sufficient to sustain so many tigers. The tall grass along floodplains and oxbow lakes of the Narayani and Rapti Rivers are the ideal habitat of the tiger, but these are threatened by invasive mikania vines, disturbance due to mass tourism, and annual grass-burning. Chitwan’s wetlands, favourite watering holes for tigers, have also been going dry because of the dropping water table in the Inner Tarai due to over-extraction. The sharpest increase in tiger numbers in recent years has been in Bardia National Park, with the population going up from 18 in 2009 to 50, four years later. But even for Bardia to take more tigers, its grasslands and water courses need to be protected so prey can thrive. For the past decade, Hollywood actor Leonardo DiCaprio has been supporting the WWF campaignto double wild tiger numbers through his philanthropic organisation. The initiative funds tiger conservation in 13 tiger range countries, including Nepal, to boost the numbers of wild tigers to 6,000 by the next Year of the Tiger, 2022. Currently there are 3,900 tigers in the wild all over the world, up from 3,000 eight years ago, with most of the increase in Russia, India, Bhutan and Nepal. In Nepal, DiCaprio has donated nearly $7 million to WWF to boost tiger numbers. The resources were used to set up more than 400 community anti-poaching groups in areas bordering national parks and wildlife corridors, and to help reduce human-tiger conflict. WWF has also been trying to re-invigorate the tiger grassland habitat by constructing and upgrading wetlands and waterholes, establishing firelines against forest fires, and installing solar-powered electric fences.